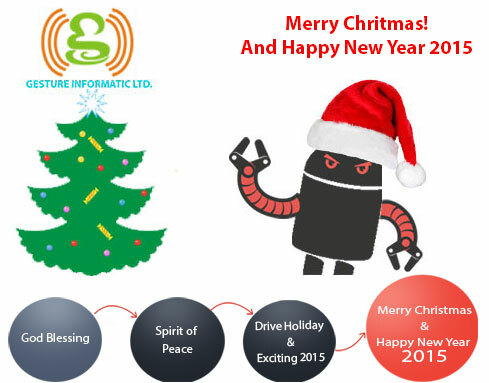 We’d like to wish you a very happy holiday season and continued success in 2015 from everyone at Gesture . 2014 has been an important year for us and has seen a number of key milestones . Holiday Season is here! Do you want to drive more sales and earn more commissions in Year End with a special offer? Gesture has the latest coupon code for you to get more sales and earn great commission! This code can be used for purchasing any of our products from the Business Series and get 60%discount on the first invoice until end of December . With these products you have a chance to earn Free Gift per sale. Pre-Christmass sale! 60% off EVERYTHING! promo code: SANTA50 Do not miss this limited offer! 2015 promises more exciting additions to Gesture ’s growing network and capabilities. Looking forward to the new year already. All the team at Gesture Informatic Ltd.